seeks to develop alternative understandings of applied linguistics, expand the intellectual repertoires of the discipline, and challenge the complicities between applied linguistics, colonialism, and capitalism. 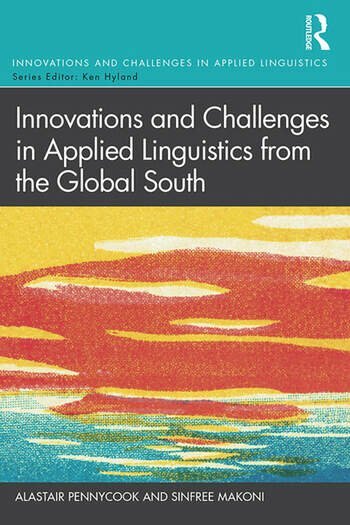 Written by two renowned scholars in the field, Applied Linguistics from the Global South is key reading for advanced students and researchers of applied linguistics, multilingualism, language and education, language policy and planning, and language and identity. Alastair Pennycook is Distinguished Professor of Language, Society and Education at the University of Technology Sydney, Australia and Adjunct Professor at MultiLing, Oslo, Norway. Sinfree Makoni is Professor in the Department of Applied Linguistics and African Studies at Penn State University, USA and Extraordinary Professor at the University of the North West, South Africa.